Working from home, even writing software from home, my computer setup is pretty crucial for a productive work day. Yesterday morning after I had sat down with my coffee and started to work on my latest patch iteration I noticed that some disk operations seemed to be very slow. I looked around and then suddenly an ‘ls’ of a directory returned an error! I ripped the thing out, booted up again and I could still work since my source code and OS are on the SSD. I ordered a new one at once. Phew. Tuesday morning I noticed that for some unexplainable reason I had my /var partition on the dead drive (and not backed up). That turned out to be a bit inconvenient since now my Debian Linux had no idea which packages I had installed and apt-get and dpkg were all crippled to death. I did some googling and as my laptop is also a Debian sid install I managed to restore it pretty swiftly by copying over data from there. At least it (the /var contents) is now mostly back to where it was before. On Tuesday midday, some 26 hours after I ripped out the disk, my doorbell bing-bonged and the delivery guy handed me a box with a new and shiny 3 TB drive. A couple of hours ago I inserted it, portioned it, read back a couple of hundred gigabytes of backup, put back the backup job in cron again and … yeah, I think I’m basically back to where I was before it went south. All in all: saved by the backup. Not many tears. Phew this time. In the middle of my otherwise happy summer vacation, my Nexus 10 had a serious case of depression and took a nose-dive from a little over a meter above floor level and crashed into the mighty fine stone tiles. It got some serious damage and there are cracks all over the screen. A while ago I posted a service request on Samsung’s site to get it fixed (they manufacture the Nexus-10s and the device have a product number and everything in Samsung’s systems), and they responded and directed me to my nearest “quick supportÂ center” for screen and display repairs. The nearest one happens to be located just a few hundred meters from where I work these days. Today I stepped in there and asked to get my screen fixed. – “It’ll cost you some 2000-3000 SEK” one of the two service guys says at once. Clearly not really wanting to fix it. – “Eh, that’s a bit unspecific. Can you tell me with some better accuracy?” I reply. After all, I didn’t pay an awful lot more than 3000 SEK for it as new – in the US and I wanted to figure out if a repair would be worth the money. 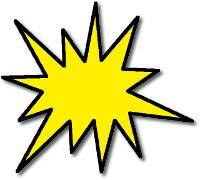 – “Okay”, he says and leaves the room through a door and is gone for a while. – “Do you have the serial number for it?” the guys says returning and yeah, I brought it there in its original box and the serial number is there. The guy leaves again. – “Then we can’t fix it.” and then he explains how they can’t order the parts necessary for the device and that’s it. Nothing to do. They can’t. Okay, so I knew there’s always a risk when “grey-importing” so I’m not really very upset. I’m mostly baffled by their response and also by the fact that there apparently is something different with the Nexus 10 display if it was bought in the US – or at least they say so. 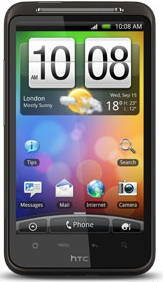 About two years ago I purchased my Desire HD made by HTC, which has indeed been a trusted work horse of mine. Even if does lack on the battery side and the micro USB connector has gotten a bit worn out so that most cables fall out unless I take precautions to avoid it. Two years ago many people asked me about the “big” phone and had objections. Today, that old 4.3″ thing is small in comparison. 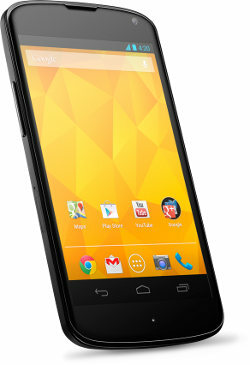 As you can see, the Nexus 4 is basically “only” a centimeter taller than the old one, while a bit thinner and much lighter. The extra centimeter and the removal of the bottom buttons basically gave the extra screenÂ reel estate. Roughly 2.5 times the number of pixels on screen. 70% more battery juice. Should come handy but won’t stop me from dreaming about some real battery evolution! CPU: 1GHz single core is now a 1.5GHz quad-core. RAM: 768MB of RAM has now grown to 2GB. Price: The price on this new phone is lower than the old one as new! 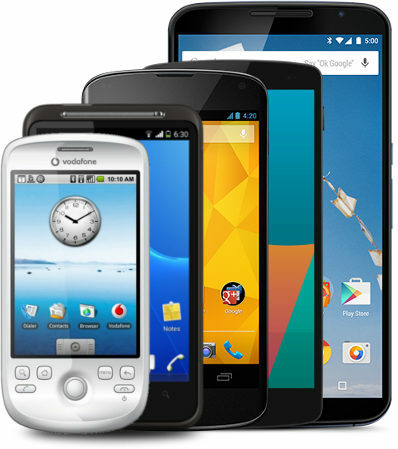 Buttons: I find it interesting that I’ve gone from 6 buttons, to 4 to none through my three Android phones. HTC Sense vs Stock Android: I’ve never been particularly upset with Sense, and now when the Desire HD is stuck on Android 2.3 and Nexus runs 4.2 they feel very different anyway. A feature my HTC phone has and that I like, but that stock Android lacks is the ability to completely block (ignore) certain contacts on incoming calls. I can add sales people or telemarketers and then completely not see them at all, no matter how many times they phone me – not even as missed phone calls. One thing I’ve actually been slightly annoyed with in the Desire HD is its really crappy camera. I believe the Nexus 4 camera has the same amount of pixels but I do have hopes that it’ll allow me to take better pictures while being out and about. 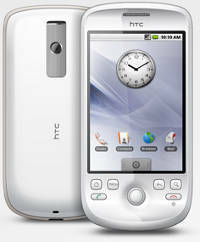 I figured this posting wouldn’t be complete without also include a picture of my first Adroid phone, the HTC Magic. I held off this long but now I’ve joined the tablet owning part of the world. 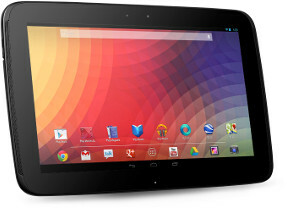 I brought home my new and shiny Nexus 10 yesterday (purchased in the US, it is not yet available to buy in this dusty and dark corner of the world). Android 4.2 on a 10 inch 2560×1600 screen is a lovely experience. It is the 16GB wifi-only version. Did I mention that the screen is awesome? 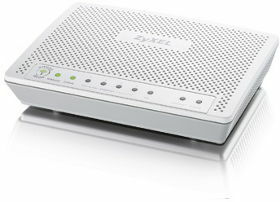 One day my ADSL modem could no longer get sync, I couldn’t send data and myÂ (landline) phone was dead. My phone is connected into the ADSL modem throughÂ which it does IP telephony. Other times this has happened I could just switchÂ off the modem for 10 seconds and then back on again it would work again forÂ another 6 months or a year or so. I’ve had ADSL at roughly 12mbit working flawlessly for several years so thisÂ was an unexpected breakage. On 14 sep 16:16 I called my operator’s (Bredbandsbolaget) support about theÂ issue when the modem hadn’t been able to get contact for a whole day – I wasÂ suspecting some kind of glitch in the service from the other end. The supportÂ person said that I had a “very old modem” and they immediately decided to sendÂ me a new modem by mail that would fix my problems. At 16 sep 18:51 I called support again. I received modem #2 and installed itÂ this day. The modem, Xavi Technologies X5258-P2, is a much more fancy model than what I had been using for the lastÂ couple of years – the new one had 4 Ethernet ports and wifi. Not that I reallyÂ care about that cruft as I want to use my own wifi router anyway to getÂ control of things better. When I plugged in modem #2 I noticed that it lit up the ‘phone’Â LED at once (which normally would only be on if I use the phone) and whileÂ internet data seemed to work, the phone did not. When I called support againÂ to ask about this, they decided it was a broken modem they had sent me andÂ would send me a replacement at once. A few days later I got modem #3 and installed it. I also got the joy ofÂ sending back two ADSL modems. 3 oct 20:25 – I called the support again. Modem #3 hung occasionally and IÂ wanted to get their help to fix the problem. The support guy I talked toÂ claimed his sometimes happens if a wifi router is too close to the modem andÂ adviced me to put my ADSL modem and wifi router further apart. It sounded likeÂ a suspicious analysis and theory to me, as why would the modem completely hangÂ from this and if it did, why would it keep on running for days at times afterÂ a reboot? The support person also revealed that he had detailed logs goingÂ back a few weeks at least where he could see my ADSL modem power recycles andÂ he could also see “bad CRC” counters going up before my restarts. I moved myÂ devices two meters apart. A little side-story: the modem has wifi support, but as I run my own wifiÂ router behind it I don’t want the modem’s wifi. I noticed it ran on aÂ different channel than my regular one so it wasn’t an immediate concern. ItÂ did however turn out that in order to switch it off I had to configure thatÂ with a Windows program and in order to install that program I had to enter aÂ username and password that I didn’t have. Asking support for the credentials,Â they instead offered to simply disable the wifi from their end instead. That wasÂ fine by me, but again showed what fancy controls they have over these things. For a week or so my connection actually was better and I actually thought myÂ suspicions about the fishy advice were wrong. But no. It turned out I was onlyÂ lucky for a few days as then it started hanging again every few days. It wouldÂ stop transfering data in/out, and the “phone” led would blink slowly. How on earth could a device like this hang in any circumstance? I’ve been an embedded developer all my professional life, I know hanging is the worst possible thing. I much better but still ugly way to resolve a problem without any obvious way out, would be to reboot. A reboot would’ve been annoying as well, but far from as annoying as this. But eventually it got too tedious, also partly because my kids and my wifeÂ also found it annoying and troubling – I had to give up the eduring. The fiberÂ installtion also seemed to be delayed. Who knows how long I was supposed toÂ remain on ADSL. So, on 5 dec 18:38 I was back on the phone with the support people andÂ complained about the hangs I frequently get with modem #3. The guy listened toÂ me explaining the issue, he checked the reboot logs from his side and swiftlyÂ decided he would send me a new modem. He decided to send a modem of aÂ different brand this time to see if this made things work better in my end. On dec 8th I got modem #4. A different model this time compared to #2 andÂ #3. 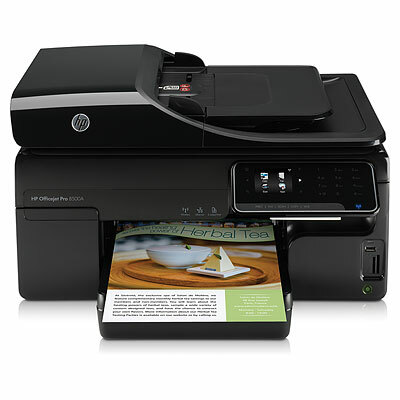 It was now a Zyxel P-2601. I got home from work at 18:15, had a quick dinner and then I connectedÂ the new equipment. Would this really be the end of my troubles? Anticipation! – Oh harsh reality, how thee can be rough and cold. This modem can’t be powered on. If I flip the power switch and turns it on,Â all the leds switch on but as soon as my finger leaves the power-on toggleÂ again the modem turns itself off… At 18:52 I tried to call support, but aÂ voice claimed they had “internal systems problems” so I gave up. 12:45 on Friday Dec 9th I called again and reported my broken modem and theÂ friendly support woman was a bit surprised I had gotten a broken device as sheÂ said “straight from the factory”. She even expressed some sympathy about theÂ replacement unit, modem #5, not being able to reach me until Monday. December 13, modem #5 arrived and I connected it. It didn’t work at once but the phone worked which gave me a clue, so I connected a laptop directly to the ADSL modem and when I then tried to use a browser on that network I reached an admin interface web server and by using that I could switch the modem over to “bridge mode”. It turned out the default setting for this device is to function as a DHCP server and all sorts of other funny things that I didn’t want it to do. At the time of this writing, number five has been running without problems for 72 hours. So I have this TV that I got forÂ XmasÂ 2009. As it happens the guys at Philips clearly kept fixing the software and removed bugs after that moment. No surprise there really. I’ve been an embedded softwareÂ developerÂ for some twenty years by now. I know that software never gets “done” and that what ships in products is only what seems to be “good enough” at some point in time. Sometimes of course not even that good. 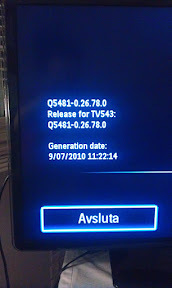 So the other day I took a photo of my TV firmware version. 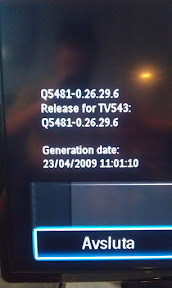 It shows how the firmware was made in April 2009. I did it during a discussion with a friend who happens to have the exact same TV as I do, and it then of course turns out he has a different (newer) firmware. Oh right, I wonder if I can upgrade to a newer one? Once I’ve mastered the maze of the Philips web site I eventually found a download link and PDFs that told me how to. The list of fixes since my version was extensive and I noticed a few flaws mentioned that I have actually experienced! The TV firmware download was a whopping 43MB. I realize this is because it is a full-fledged Linux system with kernel and God knows what else they’ve crammed in there. I decided to give it a closer check! The result of that was a littleÂ disappointing. 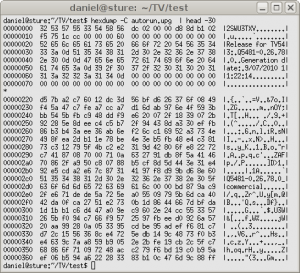 It is quite clearly encrypted after some basic initial header. The data that starts on offset 0x220 is not x86 instructions and in fact nothing in the beginning of the file looks like x86 code (I just ran a quick “objdump -D –target binary -m i386” on the file). 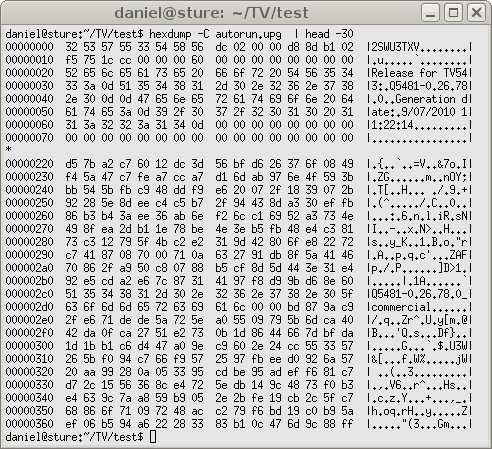 Of course, I don’t know what architecture my TV runs so perhaps even checking for x86 is wrong. I know MIPS is popular in DVDs, settop-boxes and related graphics stuff but…. Nah, I decided it really wasn’t worth the effort so I stopped investigating. I have no real intention of hacking on it anyway. So I instead proceeded to the actual procedure of upgrading the thing. But I digress. When I inserted the upgrade USB, the TV switched itself off, was dark for a short while and then turned itself on again and showed the firmware upgrade screen. The process was very fast, just like 30-40 seconds or something like that and then it was done and asked me to remove the “media” and restart. Of course we know that a usb stick is “media” so I removed it from the TV set. Nothing strange happened, but after a brief moment of black screen the regular and familiar interface. I did a quick check to see if I could detect my previous quirks now, but they may really be gone. They’ve been related to sound through HDMI and some graphical “glitches” when feeding the TV with full HD from a laptop. So, with this firmware that was shipped many months after I got my TV, I seem to have gotten a better product. I haven’t yet tested this new version to a significant degree so I don’t know yet if I’ve gotten some new nasty side-effects from it, as sometimes these kinds of firmware upgrades really cause you pain when something that formerly used to work so good suddenly turns out to not work that good any longer.